“Yosekizaiku” is a woodworking technique that draws the patterns by combining various kinds of wood. Traditional craft of Hakone is famous with history since 200 years ago. There are subtly different textures by the maker with Japanese traditional patterns such as stripes (shima) and checkers, and also is popular as a souvenir for foreign travelers. There are various shapes and sizes depending on the purpose, etc. 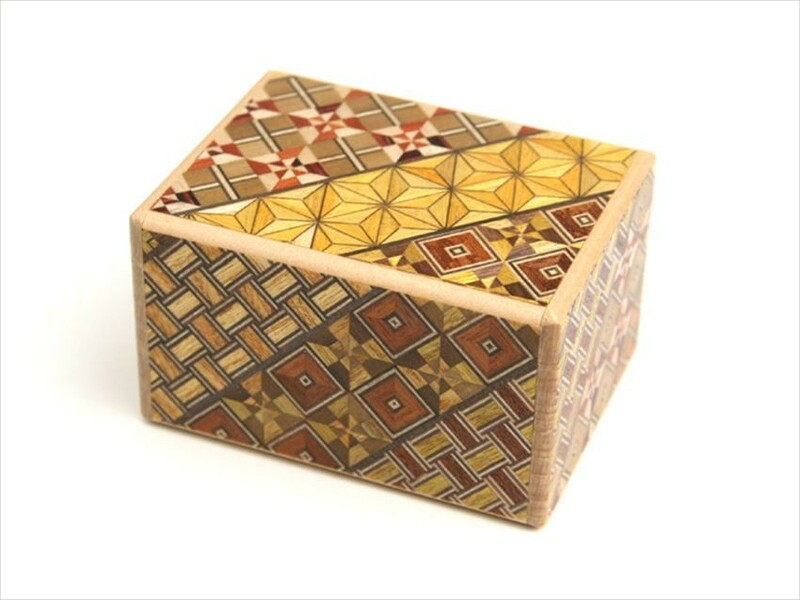 However this time we are going to introduce about the history of "Japanese puzzle box" which uses the technology of Hakone Yosekizaiku, and also the tips on how to open this puzzle box! 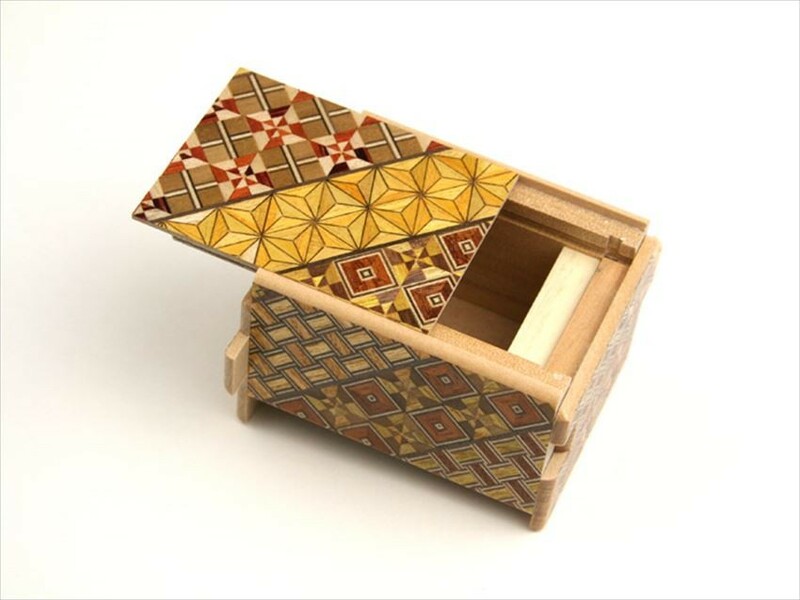 "Puzzle Box" is a complex box created with the special arrangement on the surface and interior in order to prevent a box from opening unless you open the box in a correct way. 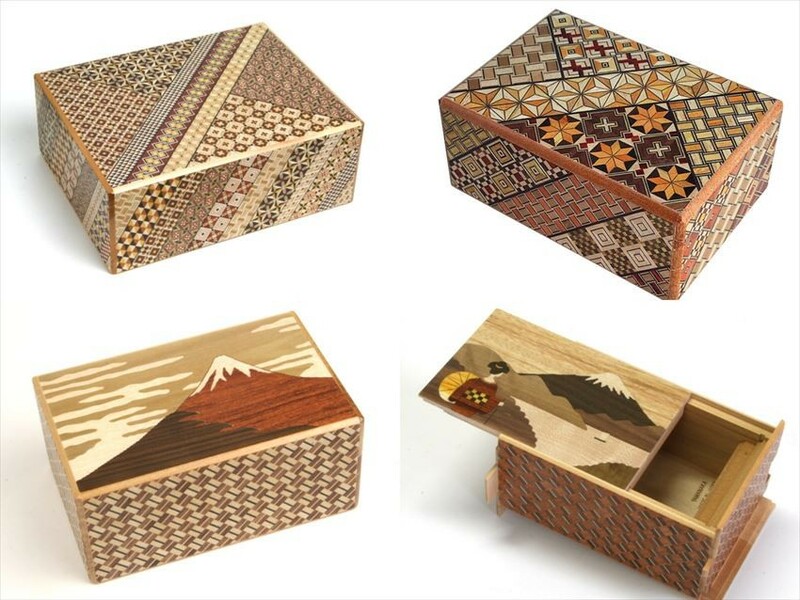 It is said that the box was invented by Takashiro Okawa, who was a woodworking professional craftworker, who live in Hakone, at the end of the 19th century. Initially, it is said that the box was made to hide jewels and money. 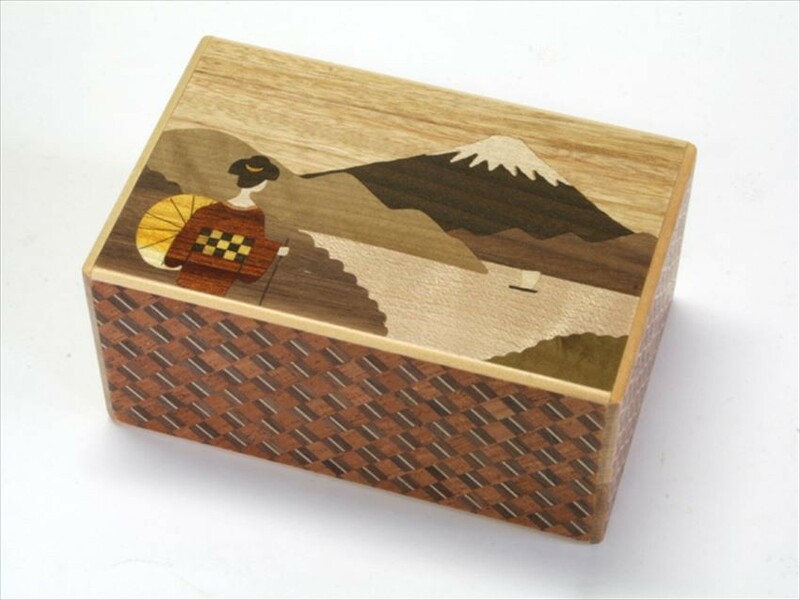 The secret box which is made in Hakone is made by the technique of "Yosekizaiku", which the box is made by bringing together woods with traditional crafts of Hakone on the surface, and the handle made by bringing together the woods by making use of the color of the wood. By doing so, “joint of the woods” which is easily been found out can be hidden firmly. In the Taisho era, it seems that puzzle boxes were exported to Europe and the United States, etc. Currently, craftsmen who can produce traditional puzzle box are getting less. This is a puzzle box that can be opened by sliding the board on the side of the box. The direction and order of sliding are fixed, where you cannot open it unless you slide it with the fixed order. The number of sliding times until it can be opened is fixed for each box, such as 4 times, 7 times, 10 times, 12 times etc. The person who first time opening this will need to try and error by repeating the sliding process of left to right, up to down, etc. In addition, craftsmen will adjust the wooden board one by one manually in order to make sure the wooden board sliding smoothly. As wood quality changes according to humidity and temperature, the sensation is said to be the most important element for a puzzle box. The higher sliding steps there are, the more difficult the box is made and the price will be higher. Among the puzzle box, there is even some puzzle box with 72 steps of sliding in order to open the box. There are various pattern, size, and color! 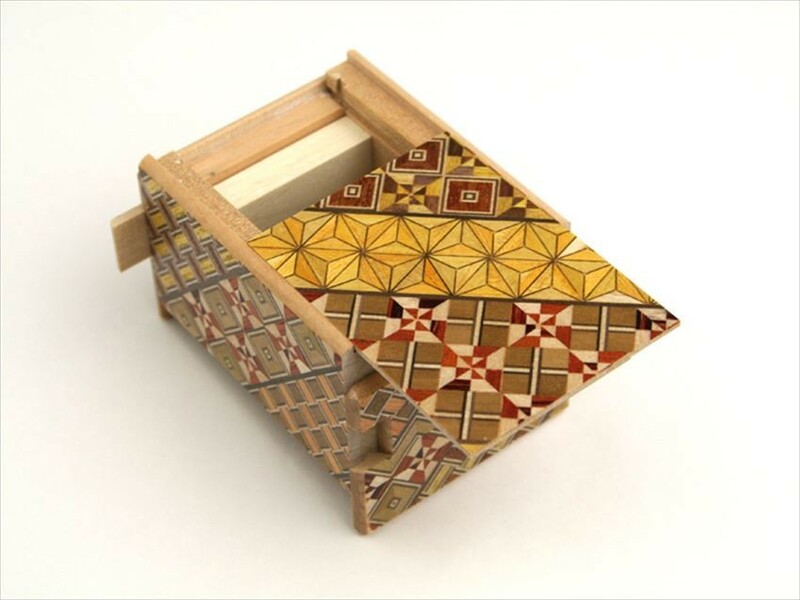 Puzzle boxes vary in size from small ones that can hold in the palm, to the big ones which are approximately 30 cm. Since all the puzzle boxes are handmade, all the patterns and colors are different from each other. 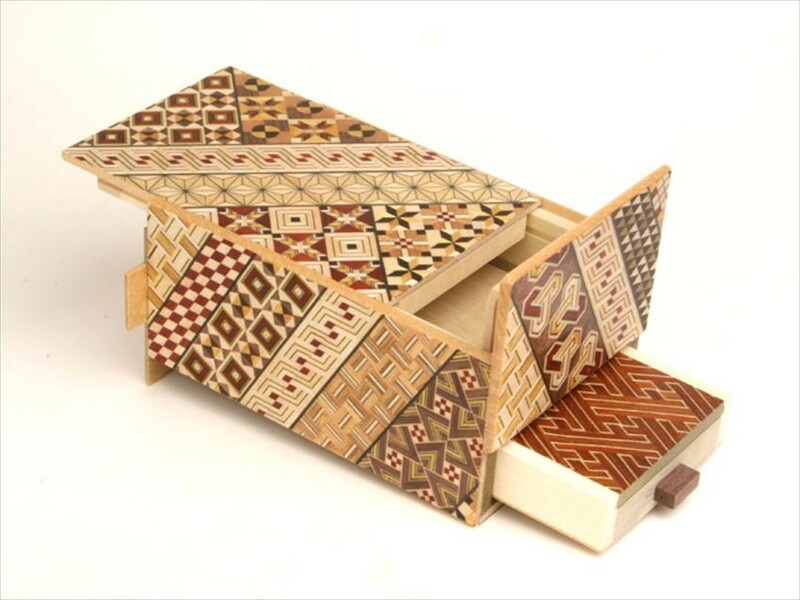 For example, there are puzzle box with patterns such as Mt. 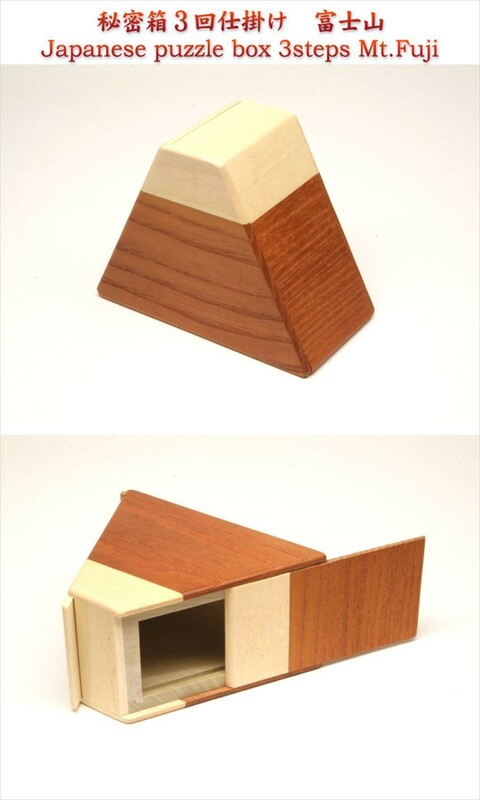 Fuji, puzzle box of triangle shape instead of rectangle shape, and puzzle box with drawer. Prices tend to be higher in proportion to the size of the box and the number of steps to open it, from the range of 2,000 yen to over 10,000 yen. All the introduced items today are the products of "Maruyama Bussan", a store located in Hakone town which selling Hakone Yosekizaiku products. 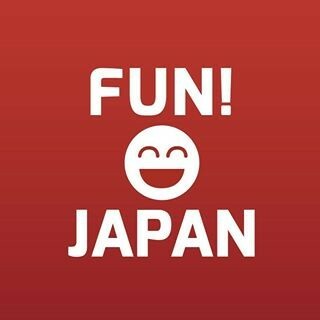 The homepage of Maruyama Bussan is also available in the English language. For those who are interested, please have a look at their website!